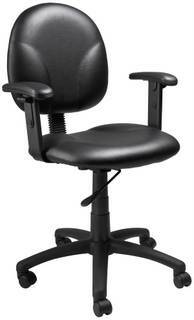 Contoured back and seat provides support and helps relieve back strain. Extra large seat and back cushions. Pneumatic gas lift seat height adjustment. Seat Height: 17″ – 22″.